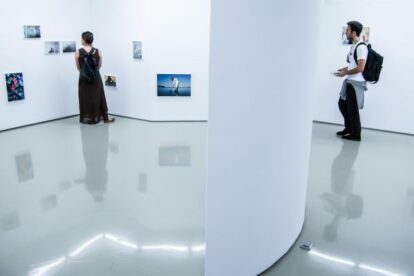 Christina Androulidaki’s contemporary art gallery lies in the heart of Kolonaki, one of the most upmarket expensive neighbourhoods in the centre of Athens. Thus, the first time I visited CAN gallery back in 2014 I was a bit biased due to the posh vibes of the area. However, it didn’t take me long to realise that the artworks being showcased were so powerful and intense, equal to those presented by independent art galleries in East London or Berlin. Nevertheless, this does not alter the fact that some art pieces could undoubtedly be included in the most valuable art collections. So, judging a book by its cover is always wrong. A visit to CAN gallery can prove this old saying right. Well known for its outré group shows, that have brought together more than 100 artists during the last five years, CAN focuses on supporting and promoting Greek and international upcoming artists by developing a productive dialogue between emerging creators, established curators and renowned institutions. Offline Athens tips? Get our iPhone / Android app!